A U.S. admiral in the Middle East was found dead in his residence in Bahrain, the Navy said Saturday. 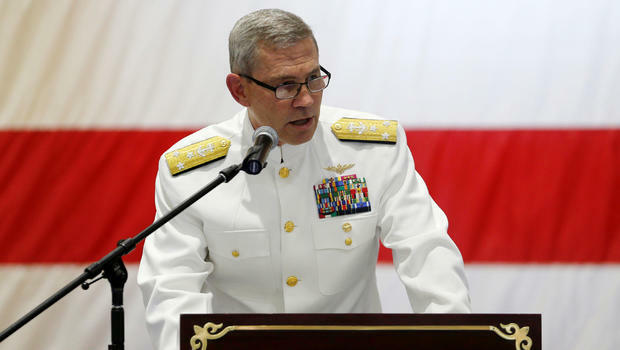 Vice Adm. Scott Stearney was the commander of the U.S. Navy’s 5th Fleet in Bahrain. In a video released on Twitter, the 31st Chief of Naval Operations Adm. John Richardson said the Naval Criminal Investigative Service and Bahraini Ministry of Interior are cooperating on the investigation. “But at this time no foul play is suspected,” said Richardson. Meanwhile, according to defense officials quoted by CBS News, Stearney was found dead of “apparent suicide”. Richardson said Rear Adm. Paul Schlise, the deputy commander of the 5th fleet, has assumed command and is maintaining continuity in posture.